At La Vie Chiropractic, we do our best to create a warm and vibrant environment, so our practice members can feel comfortable and at ease. Dr. Safina’s hands are magical. Honestly a Chiropractor was always the last thing on my mind but now I can’t wait to see her. It is almost a month since I started seeing her, and I have not woken up with stiff neck and tightening in my back. “It’s magic”. I definitely recommend someone who is scared of chiropractor but want their body back. She will make you feel welcome, and she pays attention to little details. Dr. Safina is one of the best!! She goes above and beyond an adjustment; she has an abundance of knowledge and technique that makes care at La Vie so unique. 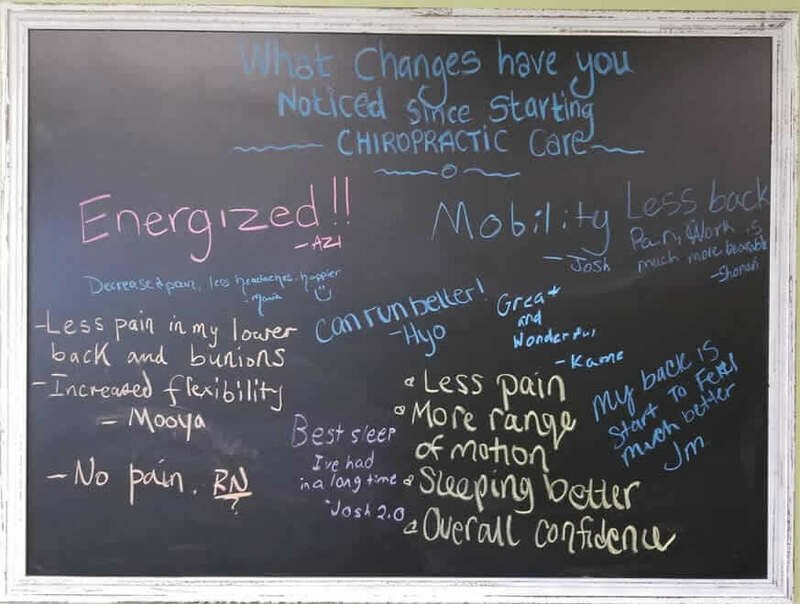 My headaches gone, sleep quality better, and so much more mobility at the gym. I highly recommend Dr. Ngandu to your family doctor. Safina is an intuitive into the profession of health & wellness. Dr Ngandu is a competent and very caring chiropractor. She worked for me at Life University providing excellent care for our student athletes in the Sports Chiropractic Department, part of the Athletic department here. I would highly recommend her to anyone looking for a good chiropractor.